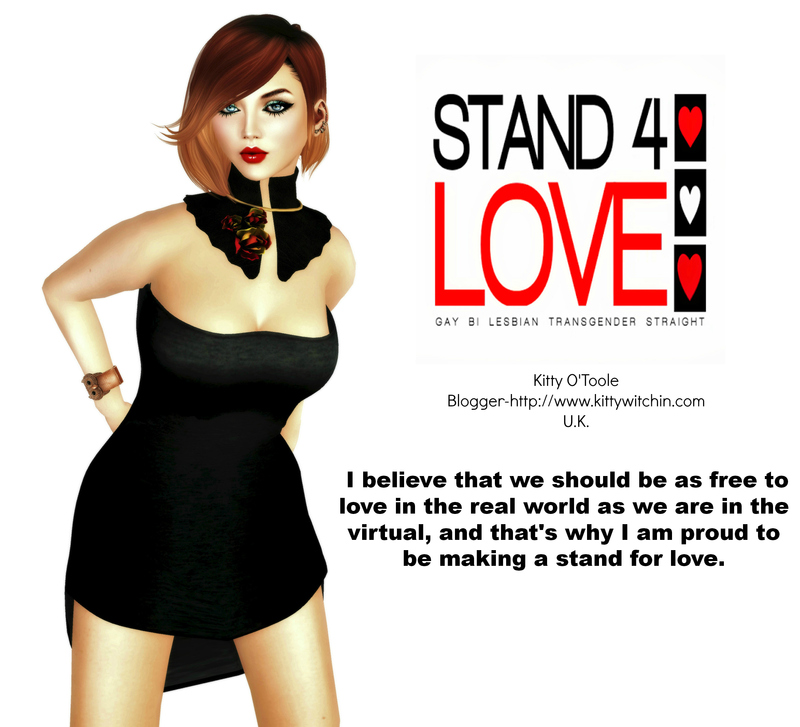 So MESH BODY ADDICTS is back for another bi-monthly round and this month is a good ‘un! I KNOW that we all suffer from event fatigue these days because there are way too many going on in-world and it’s so hard to keep up with all of them (thank goodness for SERAPHIM!) but I promise the MBA BI-MONTHLY is totally worth your time! For a start, if you don’t visit you’ll miss out on this fabulous dress from CUTE OR DIE! It’s certainly incredibly sweet and very simple; a plain dress with a tight, vest style body accompanied by a slightly more voluminous skirt. So far, so simple, but then turn around and look at the back and you’re in for a surprise! I love this scooped, open-back style that is finished with a large ribbon. It struck me that this can be worn in a myriad of ways (and would even make a very effective Bridesmaid dress if you’re so inclined) but I chose to go for a fresh and funky urban feel. I added these cracking ‘Sabrina’ sneakers from ILLI which are just bursting with detail; big and satisfyingly chunky with contrast colours and there are even see-through air pockets built into each sole which add a neat retro vibe. To accessorise I threw on some favourite ATOMIC shades and my favourite tattoo-style choker, but it’s the hairstyle that really brings this look together, and I’m wearing an absolute belter. This is the newly released ‘Battlefield’ hair from SPELLBOUND and I’m in love with it. That’s surprising to me as I initially thought this hair wouldn’t suit me, but, of course, I threw on a demo and I’m so glad that I did because I immediately fell in love! The style is pretty simple really; hair piled up to add volume at the crown is capped with a sweet, messy bun and finished with two plaits that frame the face, but what really sets this style apart are the funky touches; you can add hair rings to your plait and they look awesome! It sort of feels like they shouldn’t work, but they really do and enhance the look perfectly, giving it a street-style vibe. I really love this look. It’s not very often I wear white but it works so well here,don’t you think? The ribbon and the trainers really pop with colour against the bright white dress and the hairstyle just complements it all incredibly well. Incidentally, if you’re looking for something to wear underneath then be sure to check out this fantastic lingerie at the event from SALT & PEPPER. This is ‘Skye’ and that’s a very appropriate name, it’s certainly angelic with the straps adding a naughty element. Scrumptious, isn’t it? Sneaky Peak: Mesh Body Addicts is back!